The best thing about the interwebinets is the availablity of information and with all the different types of social media, the ability to make friends from all over. Many of the people I interact with, I may never actually meet in person, however, that doesn’t make them any less “friends.” They’re You’re all wonderful friends and I do hope to meet in real life someday. In the meantime, we keep forging bonds from our keyboards and finding new sources of information and inspiration. Recently we “made friends” with Francesca and Joker, who are in Italy and blog at The Online Canine and they graciously awarded us with the Very Inspiring Blogger Award. Everyday we try to do what we can to make a small corner of the world a better place and we are humbled to be recognized for our meager efforts. 1. Link back to the blog who nominated you. 2. Post the image to your page. 4. 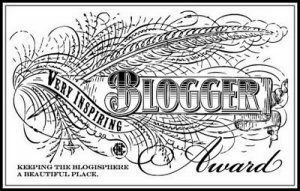 Nominate another blogger and inform them. So, let’s see about the seven things….hmmmm….seven new things…. 1. I’ve shared before that I wear heels. A Lot. I’m probably going to need foot surgery this year and am dreading it. 4. I think I recently cracked the bone in my finger and now I fear I might have to get my wedding rings cut off. 5. I’m eagerly awaiting summer because all of the maintenance that goes into an inground pool in the wintertime is making us hate the pool. 6. Ray prefers blankets on the floor as opposed to pillows. 7. Ray loves squeaky toys and works on getting the squeaker out so he can proudly trot around with it in his mouth. Now, who inspires me? There are so many people who inspire me on a daily basis. My friend, Liz, whose passion and love for animals has made me a better person for her inspiration, my new friend Jessica, the Director of SPCA for her tireless work in making the world better for all of the animals in her care, my family who put up with so much from me, my friend H whose no BS style keeps me grounded, but this is for the online community, so today I share that I am inspired by Mr. & Mrs. & Nola Kisses. 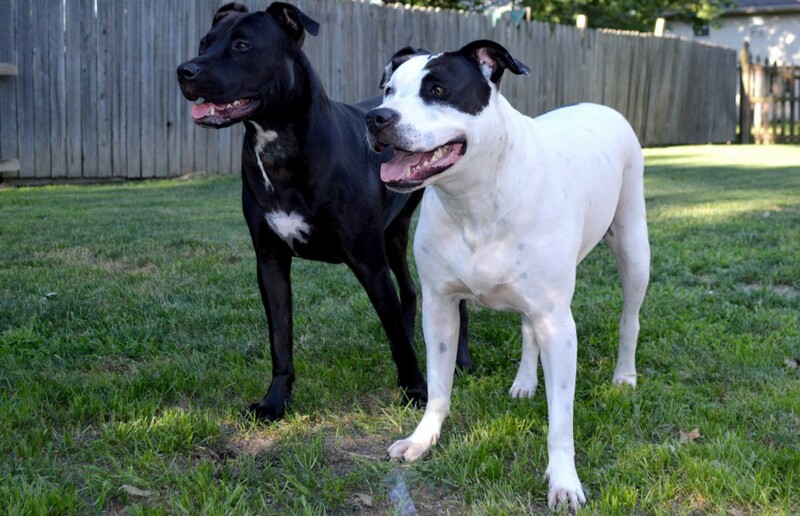 They volunteer, they foster and they have a pretty darned good pooch who just earned her CGC. I am also inspired by Emily at Our Waldo Bungie. She always knows where the good dog products are and she knows EVERYONE. Her easy demeanor and welcoming spirit have been a super inspiration to me in my blogging efforts. I’d say check them out, but I imagine you already have. Congrats on your award! And by the way I completely agree with you on #3, I don't like that cold but can't sleep if I'm hot. Thank you so much! It's amazing how fast you can become 'friends' with others through blogging. And the dog blog community is def the best! Congrats on your award, you are inspiring to us as well! Awe that is one sweet post! Haha! I wear heels alot too! I hate sneakers, and anything that is flat. Of course I don't wear heels when I go out with Joker (and whatever), but I seriously don't leave the house to go out to hangout with friends without heels on! No heels no party! Great responses and congrats on the award!